I was born and raised in Colorado near a small town Called La Veta. I lived on an 80 acre ranch with horses, dogs, pigs, chickens, goats and a calf. I lived so far out of town that I did not have regular power. I joined the U.S. Coast Guard in Hawaii in 1990. Thought my 24yr +, I acquired two specialties. Quartermaster and Marine Science Technician. 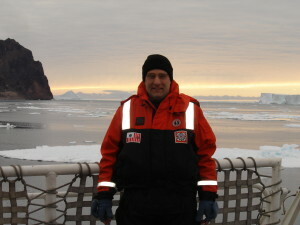 I have had several jobs while I was in the U.S. Coast Guard, if you are curious you can look me up on Linkedin. I am blessed with Four Great kids; Logan, Garrett, Riley, and Lukas. Fun Fact: My first Job was working for a local rancher, (Bob Andrioli) he was like a second father. He also had the same birthday as mine.